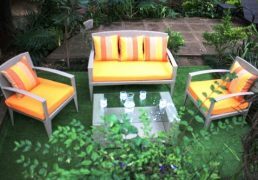 For garden parties large and small, Tara Designs has you covered! 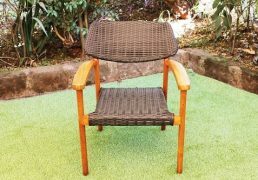 Come home to relax with Tara Design's lounge chairs, and get some sun while it lasts! 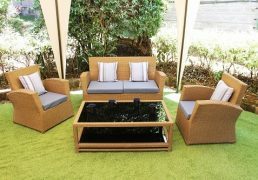 We manufacture a variety of different indoor and outdoor furniture ranging from several materials. 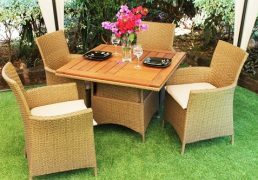 This includes synthetic rattan, wrought iron, and MDF..
Fun and funky, or classy and sophisticated, dress up your patio any way you like with Tara Designs’ line of synthetic rattan, always in your choice of colours!. 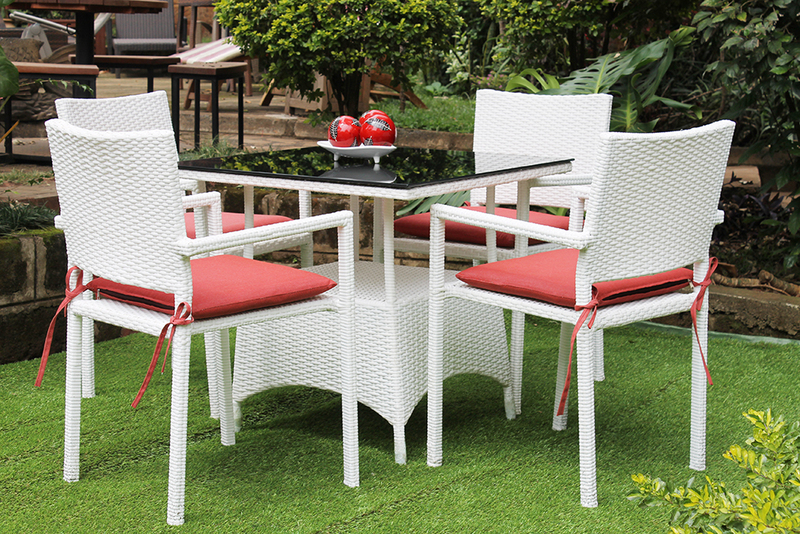 Enjoy your backyard by dining al fresco with a Tara Designs exclusive dining set, always available in your choice of colours. 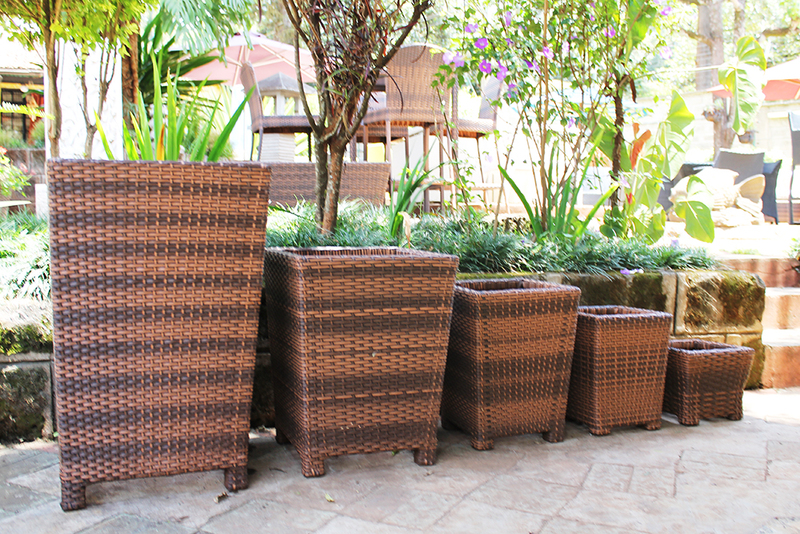 Protect your potted plants perfectly with our collection of synthetic rattan pots, always available in your choice of colours. Impress your guests this weekend with our best selling Marsabit bar. Bring your family home more often with this unique set!